RM 3/c Harley L. Willingham, son of the late Mr. and Mrs. S. S. Choate, attended Devol School. 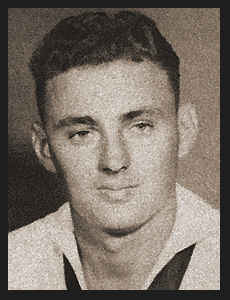 Entered Navy in Nov., 1942, trained in Univ. of Chicago, Ill.; served in S. Pacific, Guam, Luzon, Leyte, Okinawa; is now on duty aboard the U.S.S. Mindoro in the Pacific.